Anyone planning on camping or other outdoor activities should consider adding the Black Clip Point Survival Knife to their pack. This stainless steel knife features a compass in its handle and comes with a miniature survival kit. The survival blade has a black finish and sawback serrations for additional functionality. 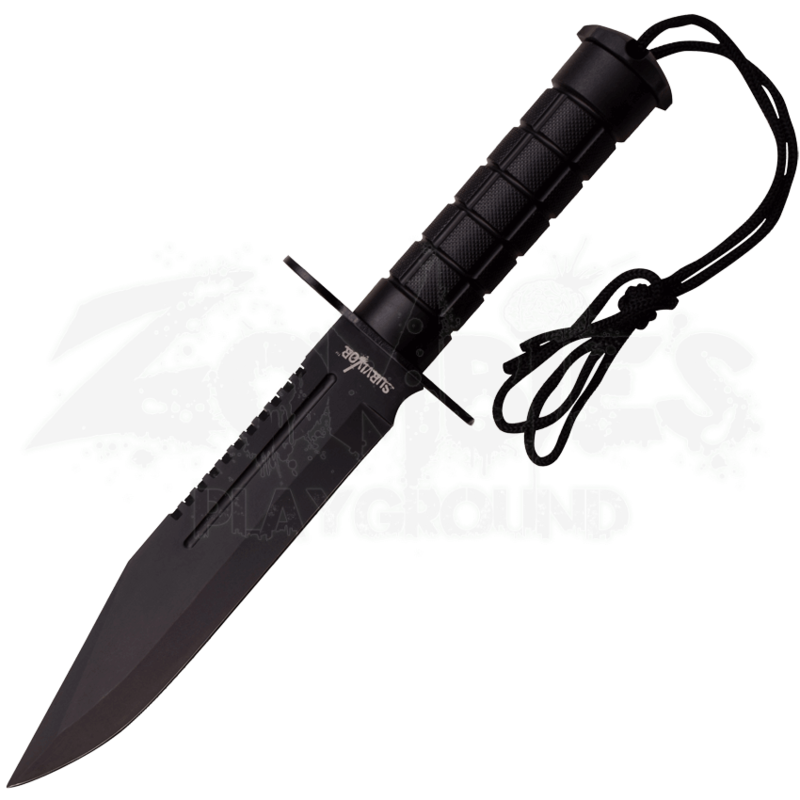 Its handle is made from black ABS material with a metal pommel, offering a sturdy grip. 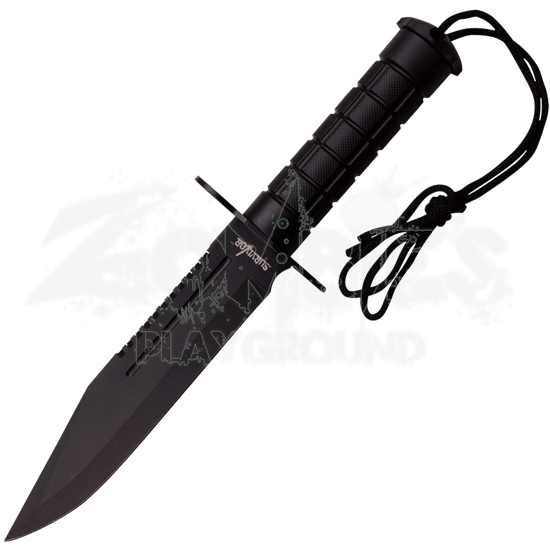 In addition to the survival kit accessories, this camping knife includes a black nylon sheath to help safely carry and store the blade. Even if you do not have any plans to venture into the wilderness, the clip point knife makes a great option for bug out bags and emergency preparation packs.